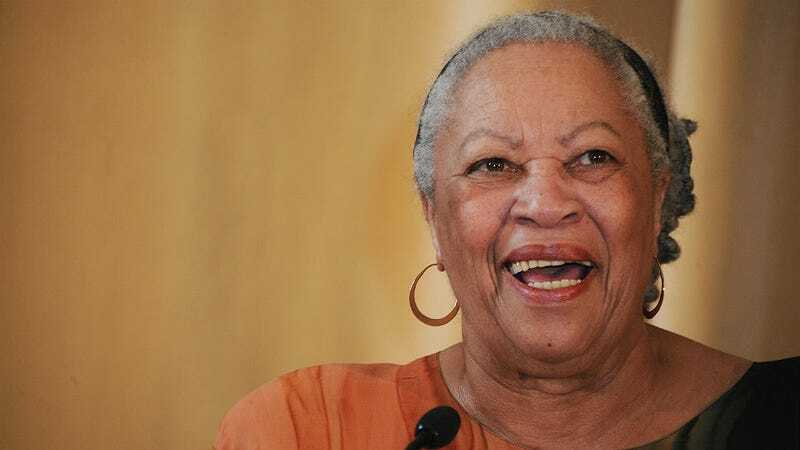 Toni Morrison is releasing a new novel entitled God Help the Child this month and it’s guaranteed to be a continuation of her revolutionary position in literature; a writer who pens black stories about black people without regard for the mainstream. The New York Times magazine sent writer Rachel Kaadzi Ghansah to spend time with the Pulitzer Prize and Nobel Peace Prize winner in her spacious Tribeca apartment. Ghansah went in expecting Morrison to be larger than life, a person who could answer her questions about blackness, literature, hell, the universe. She came out with the knowledge that Morrison was just a person—an exceptional person—but a person nonetheless. That being said, Morrison is the kind of person who didn’t really think about celebrating her recent 84th birthday until President Barack Obama offered to host a celebration at his house. You know, at 1600 Pennsylvania Avenue. Starting from her career as a Random House editor in the 1960s, when she was one of very few African-Americans on staff, Morrison has always been a race woman. She released black authors and books about black life that baffled her co-workers. She published works from Henry Dumas, Angela Davis, Huey P. Newton, Toni Cade Bambara, Gayl Jones and Muhammad Ali. She even hired the Nation of Islam’s security team, the Fruit of Islam, to protect the champ as he promoted his book. In 1970, at 39 years old, she published her own literary debut The Bluest Eye, telling the sad story of Pecola, a girl convinced that blue eyes will solve her problems. More classics followed, including Beloved, my favorite book of all time. I remember finishing it and sitting speechless, because Morrison is just that masterful at leaving scraps here and there in her prose that come together in a tapestry that changes your life. This year, Morrison’s God Help the Child aims to carry her activist tradition. The new book is a fable-like novel about a well-to-do beauty executive, Bride, who lives in a modern-day California. In it, Morrison asks the reader to consider what happens to children who can’t forget the torment of an excruciatingly painful childhood. Bride has to connect to others and see past the ways she has busied herself pointlessly with other people’s baggage in lieu of becoming something of her own making. Even though Bride has capitalized off her blackness and her beauty, to become complete, she has to go much deeper and lose all of the symbols and the trappings. Yet again, she’s writing about black people living their lives without regard for the mainstream. It doesn’t matter who Toni Morrison is writing for, anyway. Everyone recognizes her talent. Despite detractors who feel her fixation on black stories placed at the time of slavery or around reconstruction has ghettoized her work, she’s made a career of blackness itself being a limitless creative pool, enough to draw on forever. Ghansah drops the incredible fact that she sent Morrison—via her assistant, obviously—some Kendrick Lamar tracks because she felt his work is akin to Joyce’s Dubliners. Morrison never responded. For all she’s done to shape America’s literary history and push for African American stories to be respected like Joyce’s Ulysses, Morrison is also a nearly 84-year-old woman with a sister in the hospital and a cigarette she’d like to smoke in her grand Manhattan apartment.